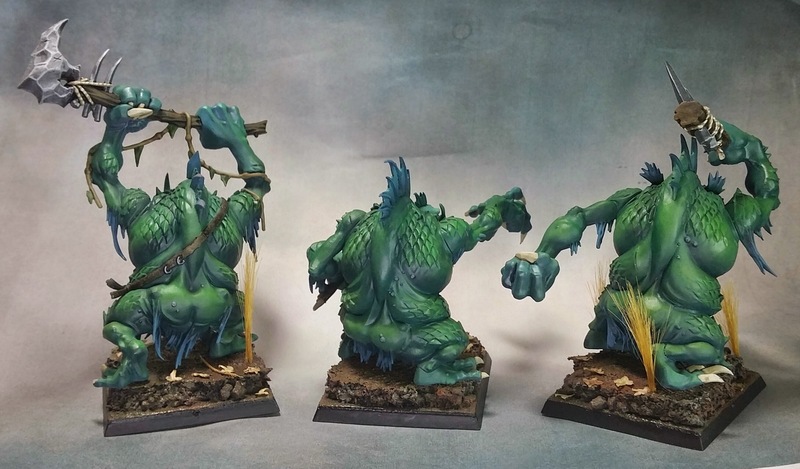 I finished the GW River Trolls! Unfortunately, I’m still without a decent camera since my camera broke, but I think these could be worse! Overall, I liked these models. The spikes worried me constantly, as though I was about to break one off any second, but they were actually pretty resilient. 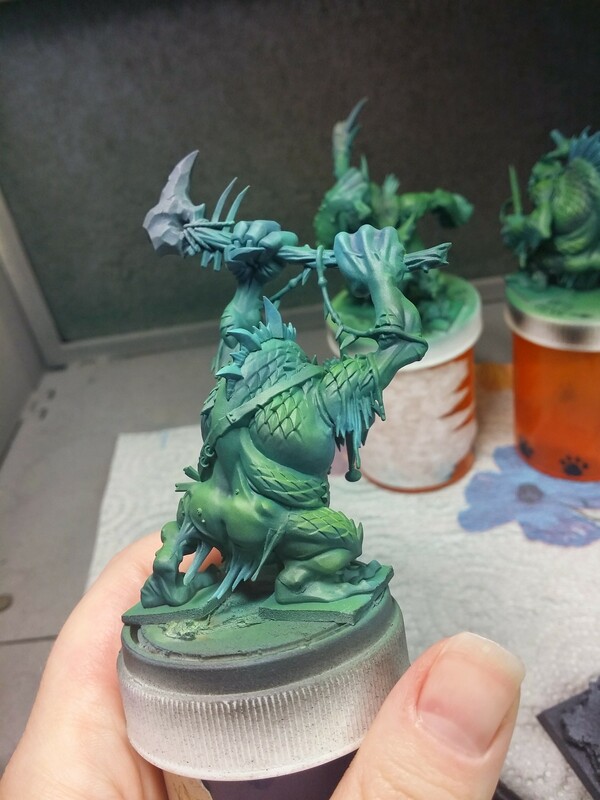 Also, I was able to do more by airbrush than I usually do, which was a nice change. I do with I had been able to do more with the basing, but I needed to keep it pretty simple. Also, these models take up almost their entire base, so if they were going to be on gaming bases there wasn’t much room anyways. I just updated my “Upcoming Projects” widget with the next few things I’m working on. It may change again as there are possibly some LotR Eagles upcoming, and I typically work on a couple projects at once anyways. 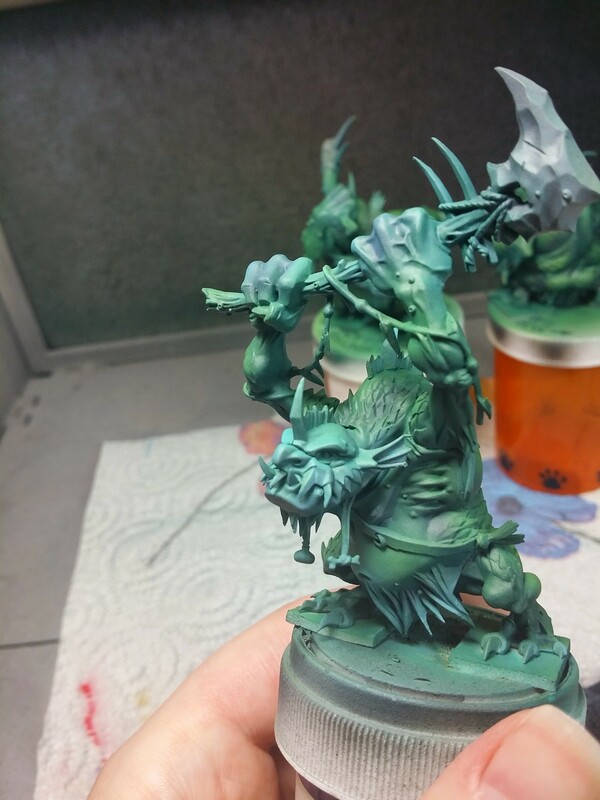 For now, I just started a set of GW River Trolls. They were a pain to assemble, but they have been quite fun to paint so far. I heard someone say once that they didn’t like these models and preferred to use some from a different manufacturer because these “didn’t have any character.” but I think that’s nuts. 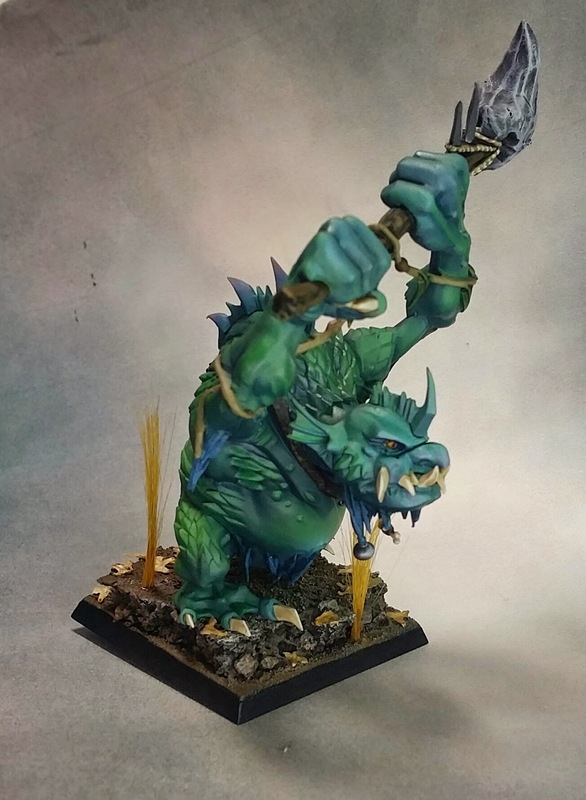 These models have TONS of character! 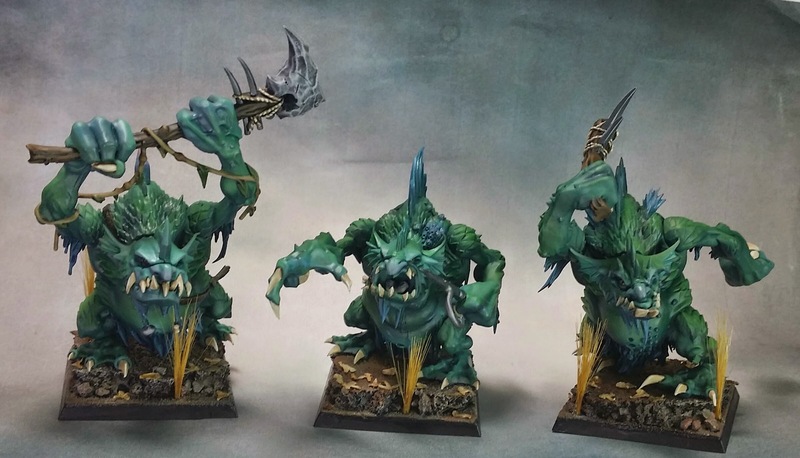 Several poses, lots of various details, and just in general they look more organic than most GW sculpts. It shouldn’t be too much longer before I finish these three…then 6 more to go!